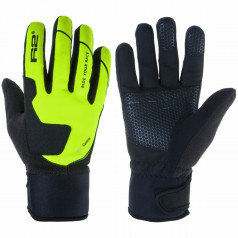 Training breathable gloves designed for mild climatic conditions are quiped with WIND BLOCK protection which effectively prevents from heat loss with so called wind colling efect. 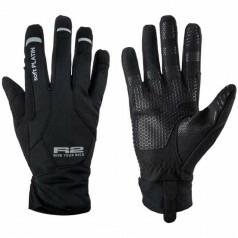 Double reinforcement of palm and fingers protects exposed parts of the gloves which ensure longer lifetime period and increase user comfort. Fingers printed with SMART TOUCH enable convenient operation of electronic devices.